Embattled payday lender Wonga has stopped taking new loan applications, ramping up fears that it is on the brink of administration. In a statement on its website, the firm said: ‘While it continues to assess its options Wonga has decided to stop taking loan applications. The move comes days after it emerged that the company had lined up Grant Thornton to act as administrator in case the lender’s board decides it cannot be rescued. On Wednesday, Wonga held emergency talks with the Financial Conduct Authority (FCA) over the impact of its collapse on existing customers, and over the weekend, Wonga said it is ‘considering all options’. Just a few weeks ago, shareholders – which include Balderton Capital, Accel Partners and 83North – pumped £10million into the firm in a bid to save it from going bust. 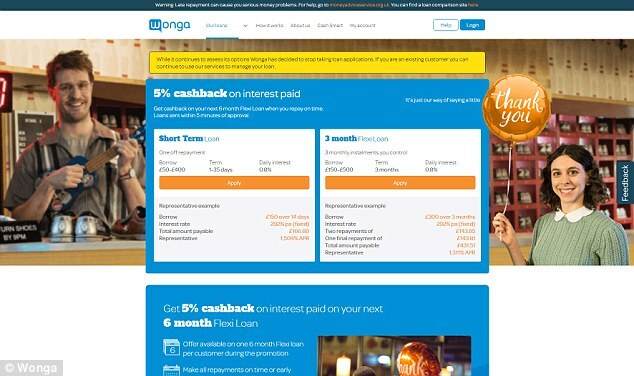 Wonga, which was eyeing a stock market float just five years ago, has been hit by tighter regulation around lending and a spike in compensation claims. If Wonga does go bust, thousands of mis-selling victims currently seeking compensation from the firm could be left with nothing. They will be expected to join a queue of creditors seeking the cash they are owed. Wonga’s most recent accounts show that at the end of 2016 it owed £108.6million – double the figure from a year earlier. 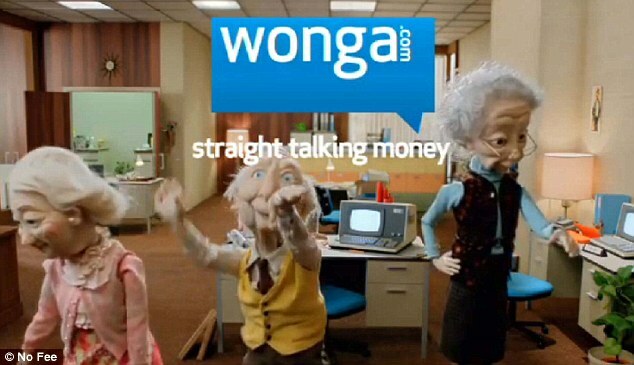 Wonga scaled the heights in the aftermath of the credit crunch when a flurry of struggling consumers took out short-term loans. But the business has faced a barrage of criticism over the high interest it charges on its loans and it has been accused of targeting those who are vulnerable. In 2014, the firm introduced a new management team and wrote off £220million of debt belonging to 330,000 customers after admitting making loans to people who could not afford to repay them.